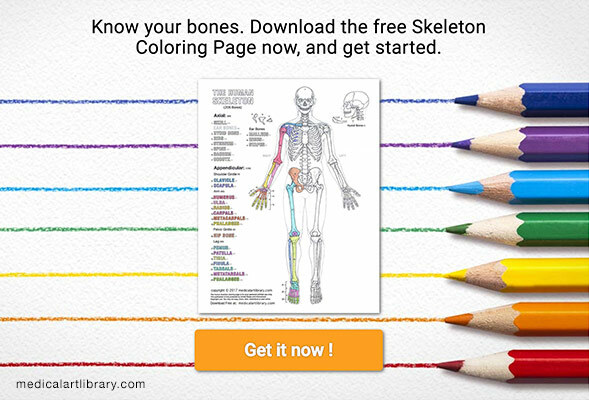 The humerus is the largest bone in the arm. The head of the humerus, covered with cartilage, articulates with the glenoid cavity of the scapula to form the shoulder joint. The anatomical neck marks the point of attachment of the joint capsule. The surgical neck is frequently the site of fracture. The supraspinatus, infraspinatus and teres minor insert on the greater tubercle. The subscapularis inserts on the lesser tubercle. These are the rotator cuff muscles. The deltoid muscle inserts on the deltoid tuberosity. 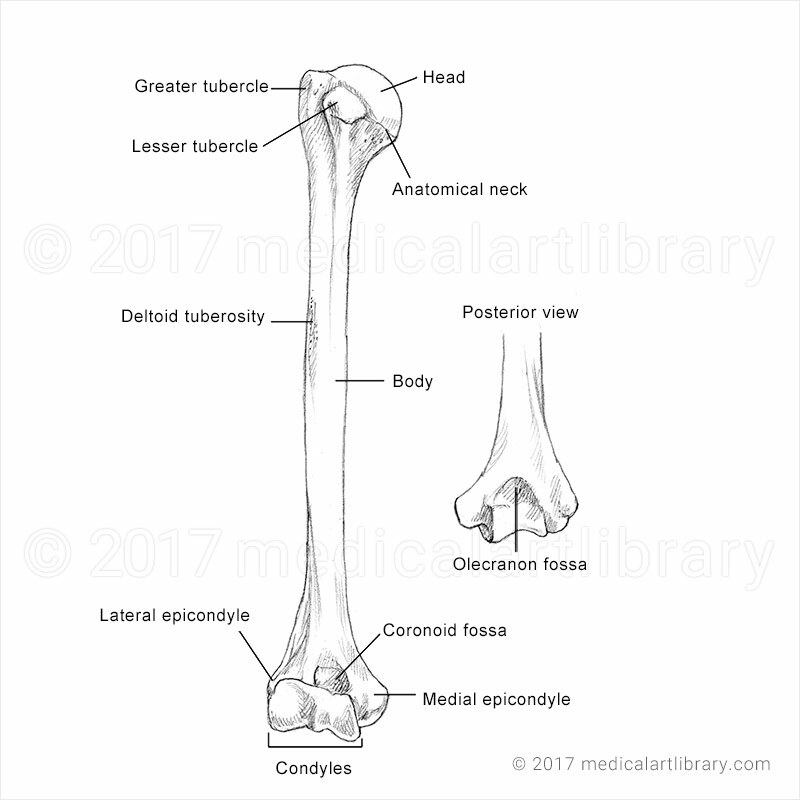 The distal end of the humerus consists of a condyle divided into two parts. The rounded capitulum articulates with the head of the radius. The trochlea articulates with the trochlear notch of the ulna. The lateral epicondyle serves as a point of attachment for the common tendon of the supinator and extensor muscles of the forearm. 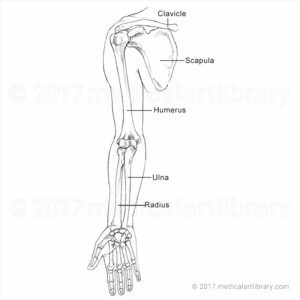 The medial epicondyle serves as a point of attachment for the common tendon of the pronator and flexor muscles of the forearm. 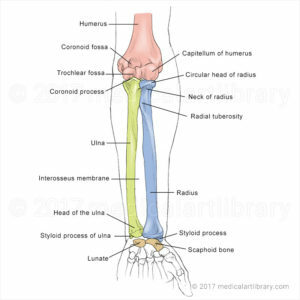 The coronoid fossa receives the coronoid process of the ulna during flexion of the forearm. 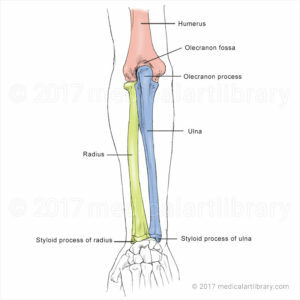 The olecranon fossa receives the olecranon process when the forearm is extended.